Watch here for the latest news and ramblings from Masterworks. 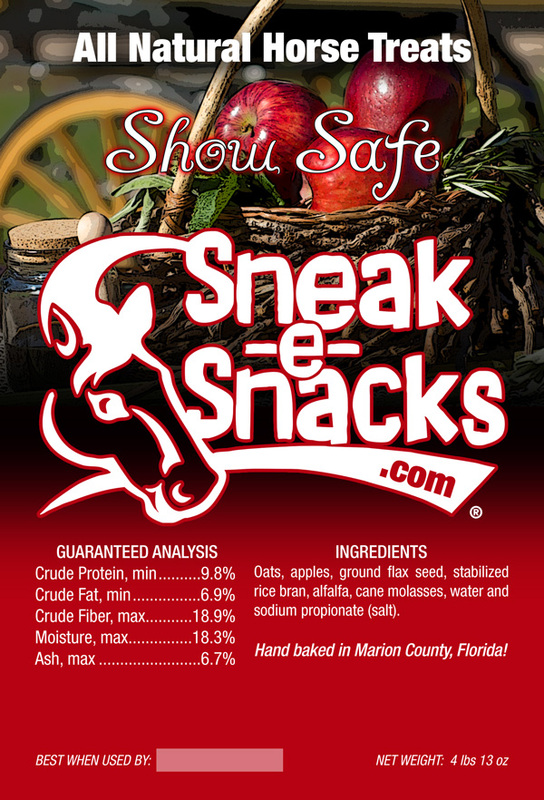 Masterworks Creative LLC announces the launch of SADDLEBREDSHOWCASE.NET on June 30, 2016. 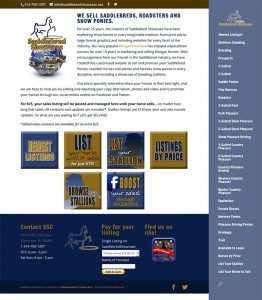 From the creators of the popular MorganShowcase.com website, the premier marketing tool for selling Morgan Horses, SaddlebredShowcase offers both sales listings and stallion service listings for American Saddlebreds, saddle ponies, road horses and ponies and hackney, fine harness and pleasure ponies. With a singular price of $75 until the horse is sold, including all revisions and updates, the sales feature includes photos, video, secure seller contact, pedigree and description that is edited for accuracy and marketing strength. Stallion listings are $150 per year and also receive the same detailed attention and promotion. Every listing is posted to Facebook and Twitter, where it is expected to reach thousands of potential shoppers as interest and awareness grows. 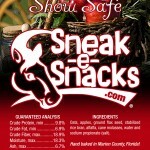 To enhance distribution, both MorganShowcase.com and SaddlebredShowcase.net are included in the Marketplace on the newly launched United Shows smartphone application, which debuted at the recent Syracuse International. With almost 10,000 followers on the MorganShowcase Facebook page, Johnson is hoping the SaddlebredShowcase will quickly meet or exceed those numbers and become a major player in expanding and complimenting the marketing and promotion of show horses. 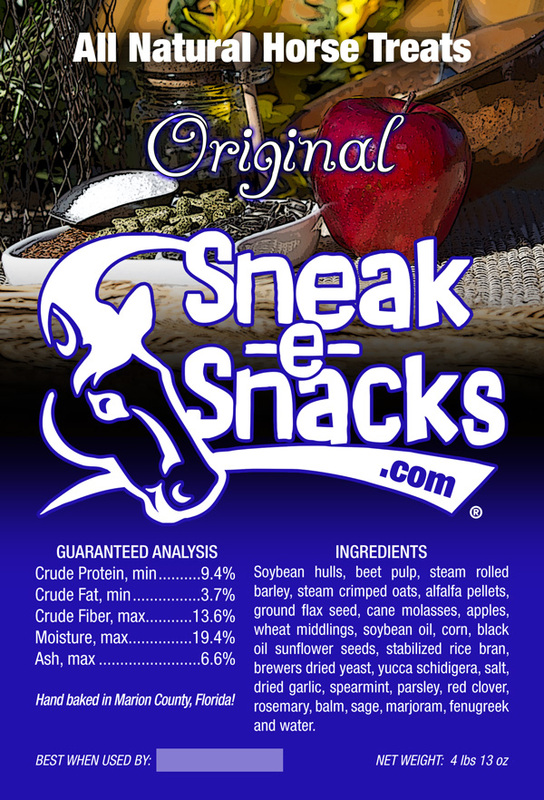 For more information, visit SaddlebredShowcase.net or call Tami Johnson at 314-750-1397. Dr. Robin Molaskey Herrick’s Cherrydale Manor has been breeding, raising, training and showing World Champion Morgan horses from their New Wilmington, PA location for over 40 years. A few of their notable champions include World Champions Cherrydale Casseopia, Cherrydale Acappella and Cherrydale Melania GCH. 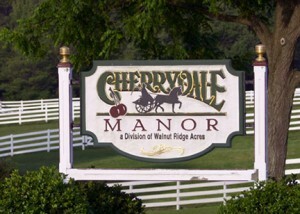 It was an honor to get the call to revamp their existing website and give it a whole new look, and the revised CherrydaleManor.com relaunched in late April. 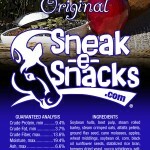 Sneak-e-Snacks has a new look! 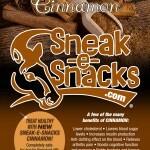 Recently Masterworks Creative was privileged to work with clients Tina & Eric Halsteter on new labels for their very popular healthy horse treats, Sneak-e-Snacks, including the labels for their newest product, Cinnamon Sneak-e-Snacks. We think these yummy labels are the perfect accompaniment to their delicious treats! Viewing this on mobile? Click at the bottom for the whole picture. 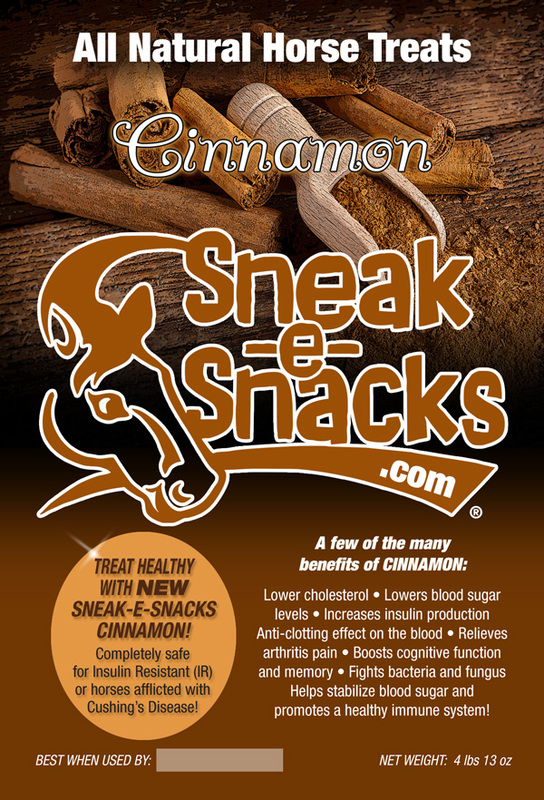 Posted by Marv Johnson on March 6, 2013 in Blog | Comments Off on Viewing this on mobile? Click at the bottom for the whole picture. This site is optimized for mobile viewing. But if you want to see something really cool, choose “full site” at the bottom. It’s worth the load time and pinch-zooming. And you get to see a really pretty horse.